All Kids First of Vineland, NJ has completed lead testing which was performed in November of 2016. The test results were complied EurofinsQC, Inc. All results were below acceptable levels of 0.015 mg/l set by the EPA. At All Kids First, we believe that our High/Scope Curriculum will help children become self-reliant problem-solvers who can set their own goals, and follow through on them independently. We work towards this goal by offering children opportunities, within a carefully planned routine, to work and play independently, to make choices, to pursue their own interests, and to solve problems that may arise during the process. All Kids First Childcare is NAEYC Accredited. This achievement has become the mark of quality, helping parents find the best possible early childhood experience. NAEYC is the nation's largest organization of early childhood educators. In order for a school be accredited, it must undergo a comprehensive process of internal self-study and improvement. 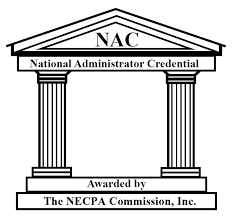 Only programs that meet all 10 of the NAEYC Early Childhood Program Standards become accredited. Grow NJ Kids gives child care and early learning programs resources to assess and improve their programs, while providing parents with information that allows them to evaluate the quality of programs and make the best choices for their child. The goal is to create a system that encourages ongoing improvement. Your staff is such a loving, caring group; always full of enthusiasm, lots of energy and compassion ... we are extremely grateful to you for this. My husband and I want to thank you and your wonderful staff for a fantastic 2007-2008 school year. Nothing compares to the All Kids First preschool program. 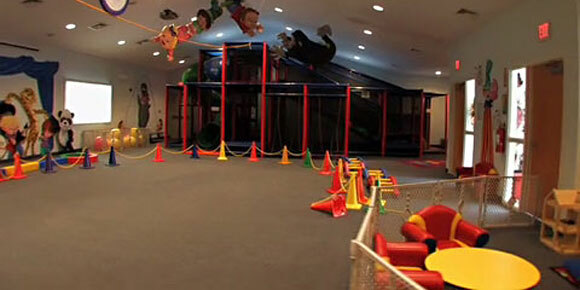 At All Kids First, children are encouraged to develop their large motor skills. 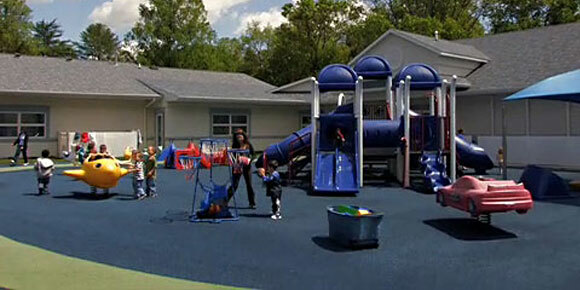 Activities such as running, sliding, climbing, and many physical skills are addressed with our four playgrounds. As part of our High/Scope curriculum, movement and expressing creativity through movement is stressed. We address both locomotor (running, jumping, skipping) and non-locomotor (bending, twisting, rocking) skills.